We're currently planning our honeymoon and visiting Iceland was always one of our dream destinations. We want to take the trip in September and/or October, however for most of the "best places to visit" I've found the recommended visiting time is either Summer or Winter. We're interested in cities and countryside alike. Should I expect some / most of the attractions to be unattractive or maybe even inaccessible during the Autumn? Or are there any alternatives and/or Autumn-exclusive events/attractions? While not as well known as the fall colors of New England, or the autumn colours of England, the leaves on Iceland do get pretty colours in September/October. I was there second half of September into early October 2014, and did really enjoy the gold and red colourscheme in nature. Weather is not that different between the different times of the year, rain and strong winds can be expected in summer as well as in fall, but nice sunny days can also happen all round the year. When I was there I had bright sunny days about every other day and heavy rain on the days in between. One advantage of the time of year, I am told, was that all the waterfalls showed rainbows as soon as the sun was out. 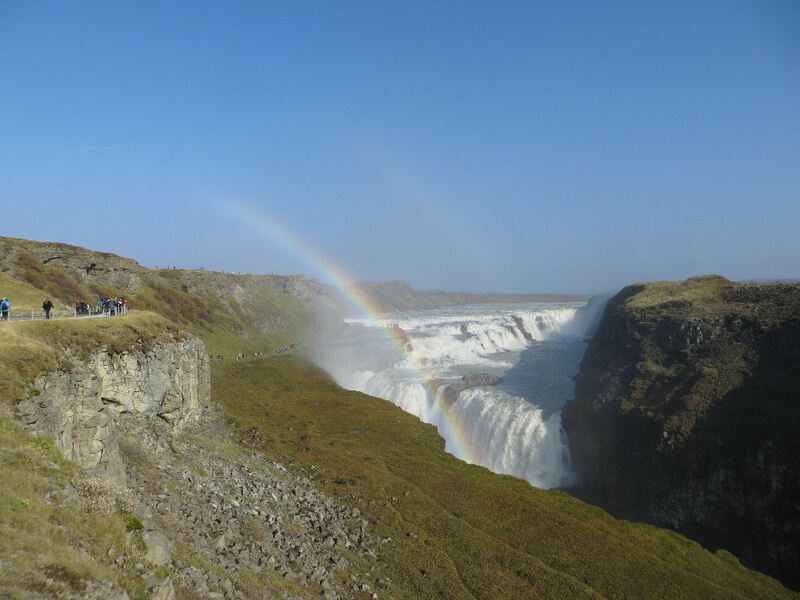 I did see them on most or all waterfalls I saw in daylight, most known ones the Gullfoss and the Skógafoss. It seems to have to do with the angle of the sun and the angle you watch from. And of course the weather as you need a good clear sun to see it. While walking around you will see the rainbow move and it is fun to find several locations that allow special effects, like people walking in the rainbow. Unless you have been to Iceland loads of time you will find enough things to do for a few weeks, or even months, als in fall. While preparing for a visit in September/October, while being there and from stories from others I have never heard about special events around that time. It is the time of fewer visitors, the time the summer special events have ended and it is a long time off Christmas, so the winter special events are not yet on. One thing you might see is the collection of sheep and/or horses off the land but as far as I understand it is not a spectator thing. It will result in more stock grazing closer to the farms, which often makes them closer to the roads. But this is not restricted to this time of year, it will continue till the weather gets good enough to let them out away from the farms again. Officially in September/October it is just dark enough to see the Northern lights, but in fact, it is hard to see them unless you are lucky with the sun spot weather and the clouds, and in a good position with no light polution to the north. I did a whale viewing boat ride and while some times they do spot whales in that time of year, many years they do not. Still worth going out on sea for me as it allowed views you do not get on land, but I did not spot any sea mammal. 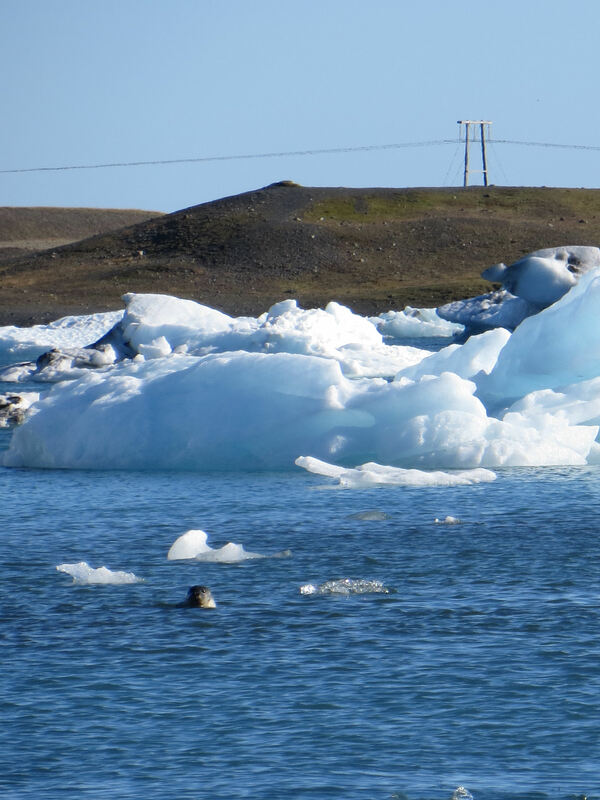 Jokulsarlon Photo by Willeke, free to use. This seal I did see in the ice lagoon Jokulsarlon, in bright sunny weather in October, while friends who were there in July could not go on the water as the weather was too windy and wet. On average you get better weather in summer, but every day has its own weather. Or as the locals say, if you do not like our weather, wait 5 minutes. Vast majority of the attractions should still be accessible in September and October, with possibly the exception of a few remote places in the center highlands. I don't think most of the attractions would look less attractive in the Autumn. The main drawback is worse weather in general, more rain and colder and the days getting shorter. So outside attractions might feel less pleasant to visit, unless it is a good day. On the other hand, there will be less crowds. Not the answer you're looking for? Browse other questions tagged sightseeing iceland seasonal or ask your own question. Iceland in high season: What to prebook?